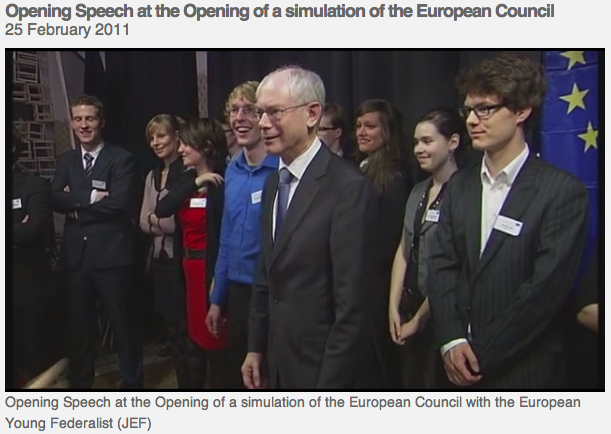 JEF Gent organised their first simulation of the European Council in February 2011 and managed to welcome President Herman Van Rompuy himself for an introduction speech at the opening reception. Also the media team of the European Council travelled to Ghent and made a nice video report about it. You can see the video HERE.